Do you prefer white, black, yellow or red sand? Do you like to surf, ride horses, fish, or walk for miles without seeing another person on beaches edged with jungle and specked with wind shaped driftwood? Would you like to walk into jungle paths where you can see sloths, toucans, parrots, and monkeys? Or would you like to watch as thousands of sea turtles come ashore to lay eggs in the sand? Costa Rica has all of this in its fantastic collection of beachscapes and more. Accommodations range from luxury hotels, through reasonably priced motels, to basic rooms in seaside cabins, to the rustic, cheap and delightful option of camping out on the beach. We have many people in the office who are seasoned beach travelers and would be happy to share their information with you. We encourage all of you to take the time to explore as much of Costa Rica as possible in your stay here. It is a country blessed with an incredible opulence of natural wealth. Barrientos, Zaidett and J. Monge Nájera. The Biodiversity of Costa Rica. Bell, John. 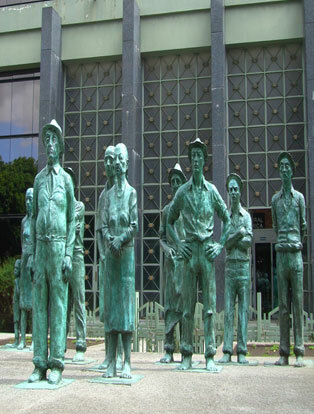 Crisis in Costa Rica: the 1948 Revolution. Carr, Archie. The Windward Road: Adventures of a Naturalist on Remote Caribbean Shores. Ras, Barbara. 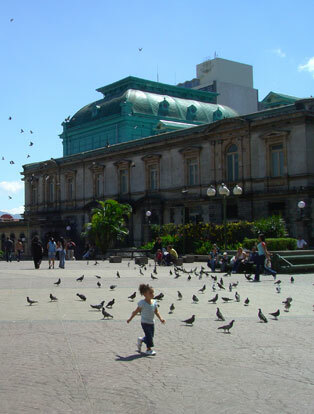 Costa Rica: A Traveler’s Literary Companion. Banks are usually open Monday through Friday from 9am to 3pm. Offices are open Monday through Friday from 8am to 5pm. They may close for an hour for lunch. Stores are open Monday through Saturday from 9am to 7pm. Bars are open until 1 or 2am. Some restaurants stay open 24 hours, while others close between meals. Ticos love children. You won’t get dirty looks for bringing them along. Both men and women seem to be naturally sensitive to the needs of children, to help you lift them on or off the bus, or to include the kids in conversation. If you have babies (especially fair-haired ones), be prepared to be stopped in the street while people admire them. ILISA offers classes for children ages 5 and up. The scheduling is flexible and is normally less intensive than our adult programs. Nanny service is also available. Upon request, we will make every effort to place you and your children in a family with children of the same or similar ages. It is something incredible to watch how children work together to overcome language barriers efficiently while adults are much more reserved. Costa Rica also offers many children-friendly vacation spots of which we would be happy to advise you, including, for instance, beaches in which children are safe to splash around. Whatever level Spanish you have, you can start classes on any Monday throughout the year, except of course if we are closed for the bank holiday. Classes normally are from 8 a.m. – 12 p.m. with a coffee break between 10 – 10:20 a.m. For those of you who take the 6 hours/day program, classes continue from 1:15 – 3:15 p.m., with a break between 2:10 – 2:20. This schedule allows you sufficient time for lunch. During the busy months (June, July and August) your group may have to be assigned afternoon classes from 1 to 5 p.m. (note: this type of scheduling is rare, so you can plan on taking classes in the morning). During the same months we occasionally schedule afternoon tutoring sessions from 3:30 p.m. to 5:30 p.m.
New students will have a placement test on their first Monday. After checking in at the reception desk, they can wait in the ILISA terrace for a teacher to call them for an interview. On subsequent Mondays you will find the new morning and afternoon schedules posted on the bulletin board located in the entryway. This information includes where your class is located and who your teacher is for the week. 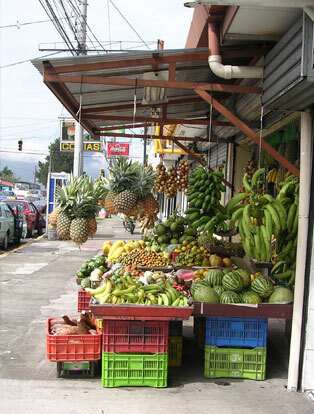 Costa Rica is a tropical country, which means lots of sun. What many people don’t know is that there is also quite a bit of rain. The rainy season starts in early May and lasts until November. During the rainy season 99% of all showers occur during the afternoon or evening. The mornings are generally sunny and clear. If you attend school during this season, don’t forget your umbrella! Heavy rains are not continuous, but it only takes seconds for the rain to soak you. December through May is the dry season. During this period, temperatures are slightly lower than those in the rainy season, i.e. approximately 17 C/60 F in the evening, and 25 C/78 F during the day. We recommend that you bring one or two warm sweaters for chilly evenings or for trips to the mountains. For the hot and humid tropical days at the beach, light cotton clothing is the most comfortable and practical choice. Bring plenty of this type of clothing because a regular change is absolutely necessary! ILISA has several computers available for students to use during regular school hours. You can use the lab for internet access, email and word processing. All of these services are free. Our cultural program consists of a series of lectures and afternoon activities each week. These activities are an excellent addition to your language learning experience at ILISA. The program is free, optional, and available to all students. All details and dates are posted on Friday afternoons. Activities begin in the afternoon no earlier than 3:15 p.m., which allows all students the opportunity to participate. Since our cultural programs are optional, in some cases we may ask you to sign up ahead of time so that we can estimate how many participants will be attending. 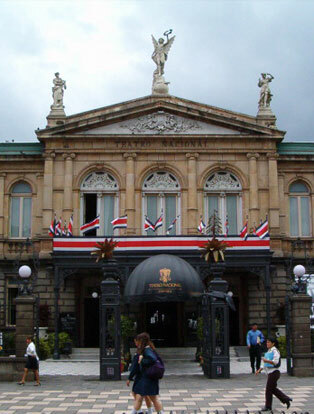 Activities range from Latin dance lessons to lectures on Costa Rican culture. Our programs are a lot of fun, so be sure to join us.